JESTESMY W PELNI LEGALNA FIRMA TRANSPORTOWA MiniCabs ! DZIALAMY NA TERENIE CALEGO LONDYNU I OKOLIC ! ZAPEWNIAMY PRZEWOZY OSOB NA i Z LOTNISKA W LONDYNIE ! DO DYSPOZYCJI: CZYSTE I WYGODNE AUTA 5, 7 i 8 OSOBOWE ! 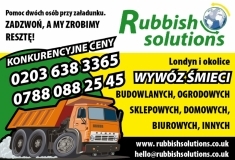 CALODOBOWY TRANSPORT TAXI NA WSZYSTKIE LOTNISKA W LONDYNIE !